Apparently, it’s been snowing. A lot. 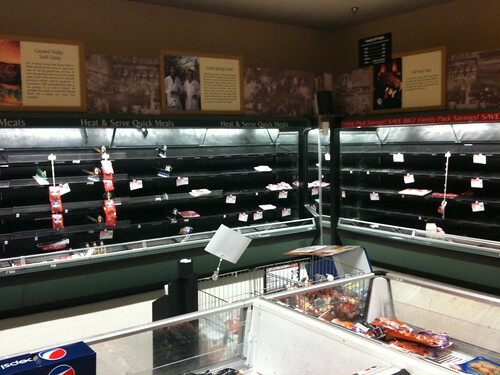 I never knew people needed so much meat during a snowstorm! 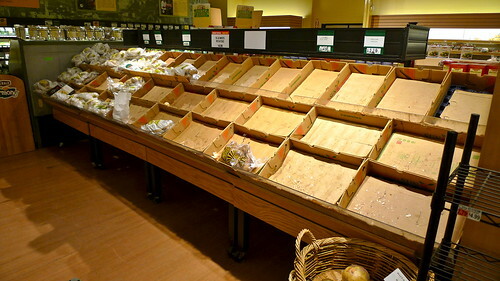 There used to be vegetables in here. Lots of them. 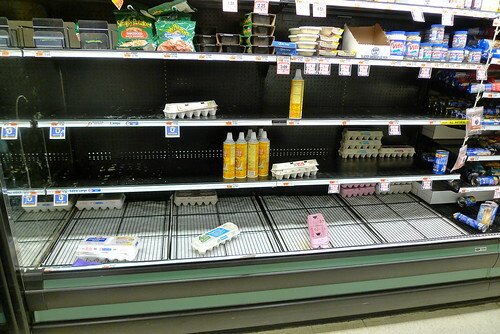 Apparently, there will be lots of eggs made in Baltimore during this storm. But few pancakes.